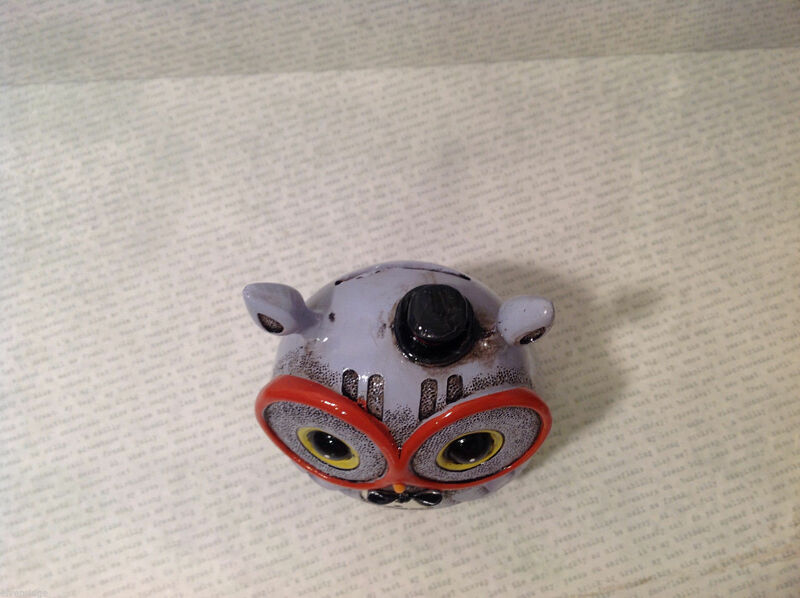 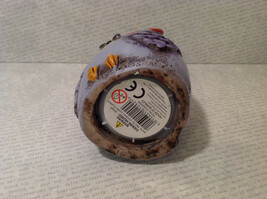 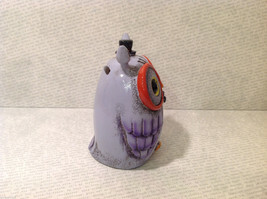 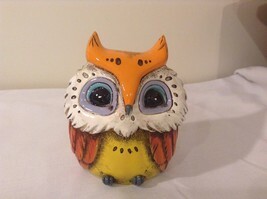 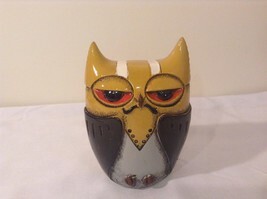 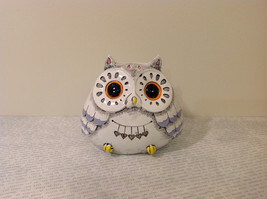 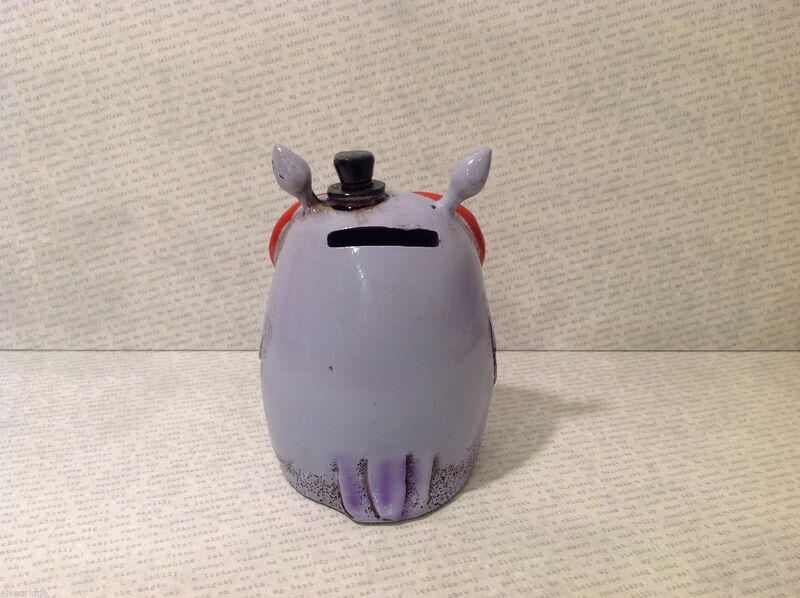 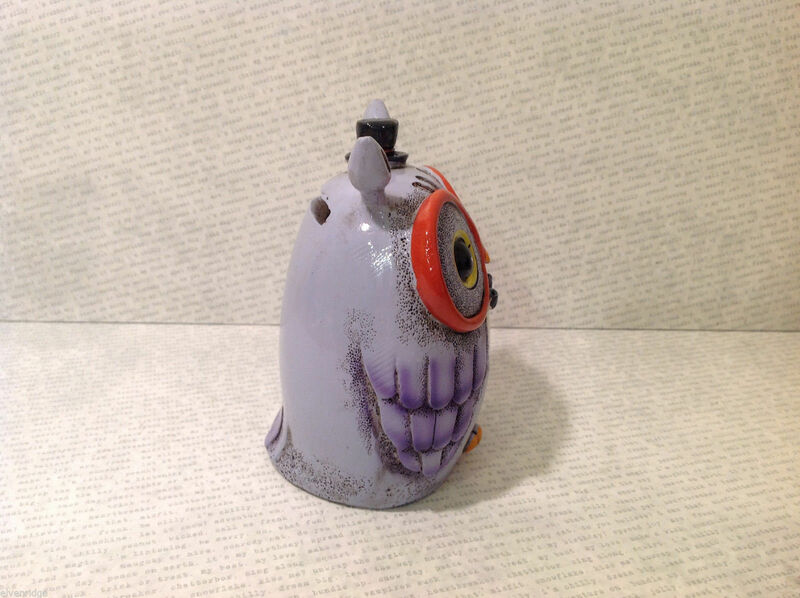 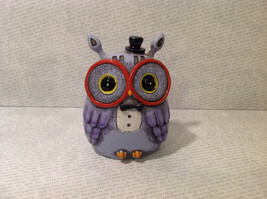 This is a blue / violet owl coin storage piggy bank. 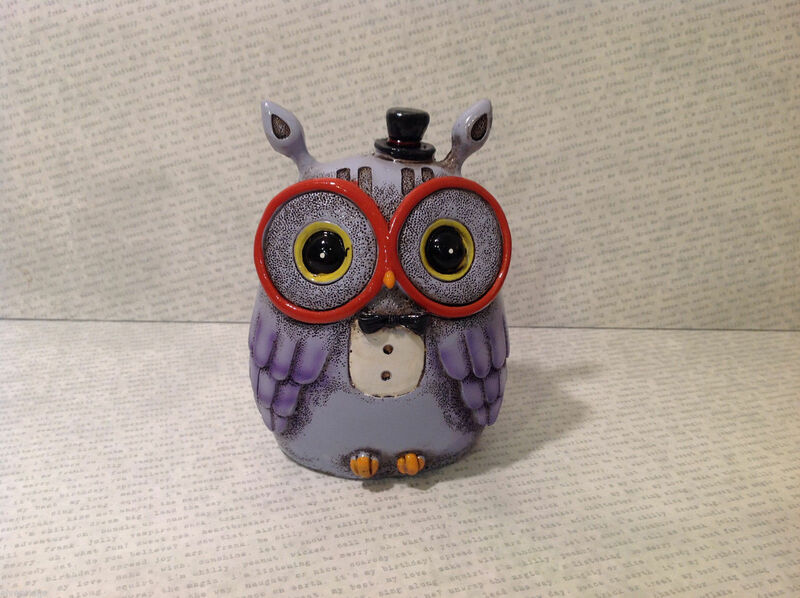 Owl with Big Glasses, Cylinder Hat, White front shirt, and bow. The bank is brand new. 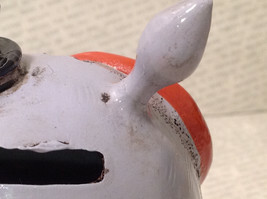 There is a coin slot in the back of the piece. *one "ear" was glued back.